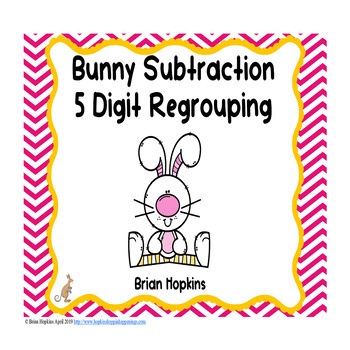 Easter Subtraction 5 Digit by 5 Digit Regrouping uses 24 task cards and is perfect for your math centers, stations, rotations, to play the game "Scoot" or "Quiz, Quiz Trade", for early finishers, small groups, RTI, journals, etc. There is a recording sheet and answer sheet. 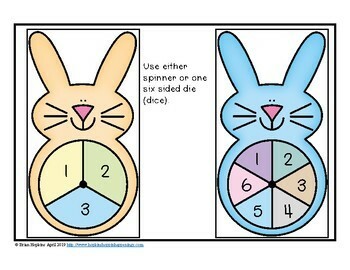 I have included an optional game board and bunny spinner. 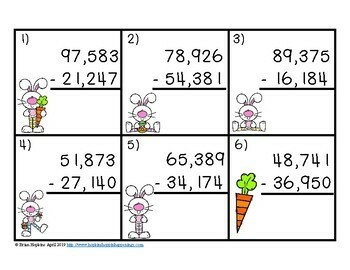 Children who land on a carrot get to go as they fed the rabbit! If laminated students can write on them with dry erase markers. These are in color and black and white. 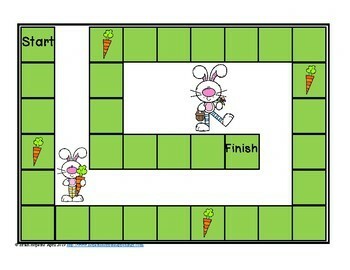 These work well for an Easter theme in March or April. If you enjoy this product please consider leaving positive feedback so that you will receive credit for future products. Should you find an error please e-mail me at tigermagic@bellsouth.net and give me the chance to correct it prior to feedback given and I will correct it and you can redownload for FREE.